Inka Bajandas from the Daily Journal of Commerce interviewed Sean Z. Becker on the opening of Sean Z. Becker Real Estate in South Waterfront. 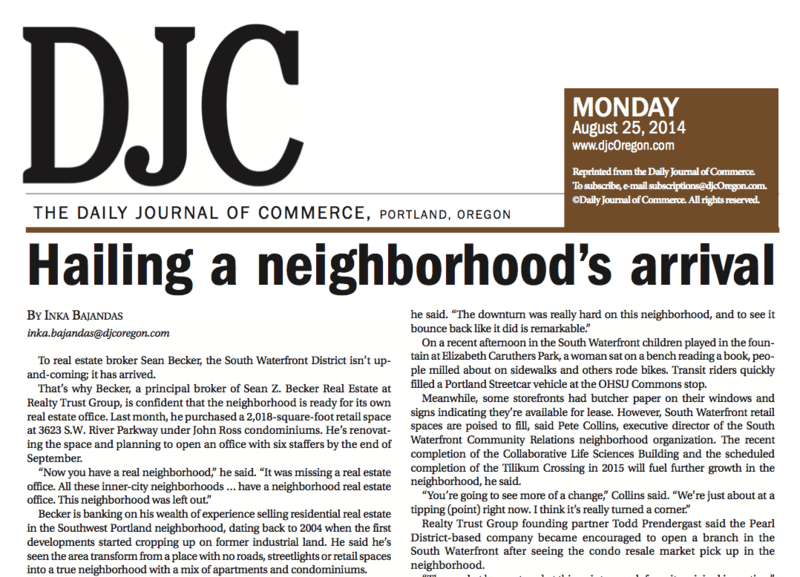 This article highlights our office as well as how South Waterfront is just another great neighborhood in Portland. This article was published on August 25th, 2014. Read “Hailing a neighborhood’s arrival” here.